In this eBook, we're going to take a look into the future of digital marketing! Inbound marketing best practices, methodology and the 4 stages: attract, convert, close, delight. 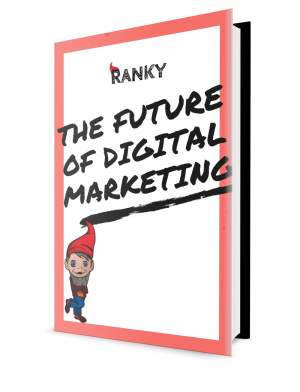 Ranky is a leading startup marketing team in Tel Aviv, Israel. We're a team of nerds who enjoy creating winning content as well as developing engaging SEO, CRO, Social Media and PPC campaigns. We've used our magical content marketing and user acquisition powers on dozens of top startups across the world, in countries such as the US, England, and Israel.